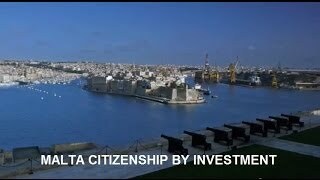 With an amendment carried out in November 2013 to the Maltese Citizenship Act, Malta offers high net worth individuals and their families worldwide the opportunity to acquire the Maltese citizenship by investing in the Country. As a member of the European Union since 2004, becoming a citizen through investment in Malta grants you countless benefits - a quick and efficient process, freedom of mobility and the chance to live in one of the sunniest, most respected EU Member States. The Malta Individual Investor Programme offers affluent citizens of foreign countries (EU and non-EU) of impeccable standing and repute the opportunity to become Maltese citizens and therefore get a Maltese passport. The advantages of the MIIP are countless. By contributing to the economic and social development of the country, the Malta citizenship Programme grants successful candidates and their families a certificate of naturalisation which opens the door to freedom of mobility. The benefits of the Malta Citizenship by Investment Programme are extended to your family, descendants and future generations. Indeed, the advantages of obtaining a Maltese passport can be passed to your parents and spouse, minor children and unmarried dependent adult children aged less than 27 years old. Descendants are automatically entitled to the Maltese citizenship thereafter. Since 2007, Malta has been a member of the Schengen Visa Zone. Implemented in 1995, the Schengen agreement allows free movement of people between member countries by effectively removing border controls. Becoming a Maltese citizen by investing in the country will, therefore, allow you to live, work, study and travel without going through border controls in all the 28 European countries + Iceland, Norway, Switzerland and Liechtenstein (member of the EFTA - European Free Trade Association). Moreover, successful candidates will enjoy VISA free travel to more than 168 countries including USA and Canada. Once you have obtained a Maltese passport through investment, you and your family will enjoy the freedom of mobility for life, as you will acquire a permanent Maltese citizenship. The Individual investor Programme shall allow for the grant of citizenship by a certificate of naturalization to foreign individuals and their families who contribute to the economic development of Malta, as provided in these regulations. In details, the operation of the programme should be carried out by an authorized entity, which is an entity awarded the public service concession contract to operate and promote the Programme. Chetcuti Cauchi Advocates is an Approved Agent and has so far shown 100% success rate, achieved through 15+ years of honesty, integrity and problem-solving. The Maltese Citizenship Act - Individual Investor Program - provides the reader with an explanation of the terminology used. It establishes the Individual Investor Programme of the Republic of Malta, which ''shall allow for the grant of citizenship by a certificate of naturalization to foreign individuals and their families who contribute to the economic development of Malta'' as provided in the regulations. The Law provides a detailed list of the requirements for a person to be a main applicant for the Citizenship by Investment Programme. The Law provides a detailed list of the minimum eligibility criteria for an application under the Citizenship by Investment Programme. You can find all the relevant information on our section 'Malta IIP - Eligibility Criteria'. After the oath of allegiance has been taken by the applicant, the certificate of naturalization can become effective. 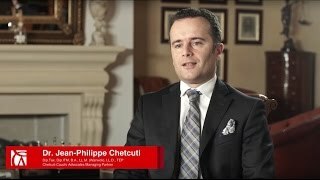 Dr Jean Philippe Chetcuti was the first to be licenced by the Identity Malta Agency to directly file citizenship applications under the Malta Individual Investor Programme (MIIP). He holds licence IIP 001. 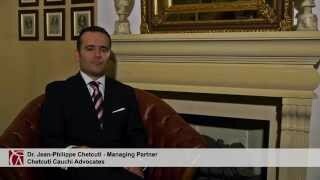 Jean-Philippe is a Malta Citizenship lawyer advising HNW individuals, business families and their advisors. 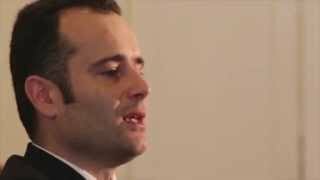 He has been instrumental in the design and success of the Malta Citizenship by Investment program as well as Malta's attractice residency programs. Jean Philippe also advises on international tax planning, trust & estate planning, citizenship & residency planning, immigration and resident-non-dom regimes.